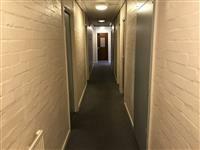 Services / facilities within the building include self-catered student accommodation. 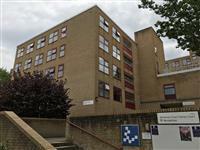 For access information to the reception of this block, please see the Battersea Court - Reception guide. The width of the door opening is 80cm (2ft 7in). 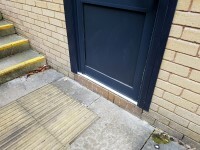 The step(s) is / are located either side of the entrance. You are on Sloped Access to Level 0 Entrance. Skip to the next section. 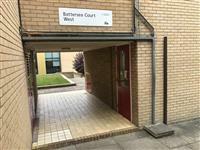 There is stepped access to the Level 0 Entrance from Battersea Court. 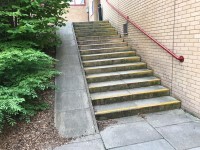 However there is alternative access via a sloped path which leads up to the entrance from the campus area outside the library, avoiding the steps. 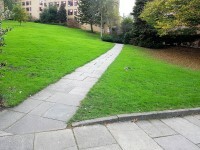 The path has a moderate slope and is 130cm wide. 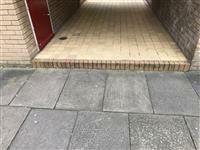 The path has a flagstone paving surface which is slightly uneven in places. 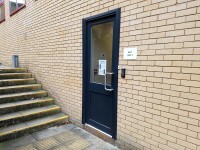 You are on Outside Access (Level 0 Entrance). Skip to the next section. The bell is at a height of 142cm. The step(s) is / are located in the doorway. 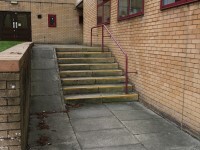 The floors which are accessible by stairs are G, 1, 2 and 3. The stairs are located just inside the main stairs entrance. 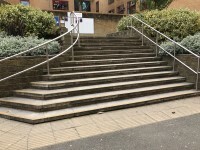 The stairs are approximately 2m from the main entrance. 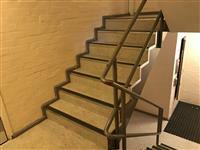 There is an external staircase which is mainly used for the fire escapes. 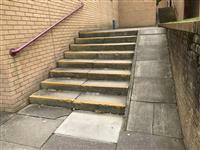 The area(s)/service(s) on the floors which are not accessible is/are flats on other floors. There is no directional signage at key points of circulation routes. 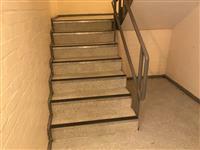 Ground floor rooms do have level access. None of these rooms are accessed by platform lift. 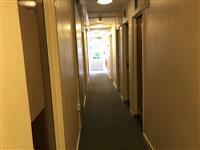 Each room has a washbasin and each floor shares three toilets, three showers and a kitchen. 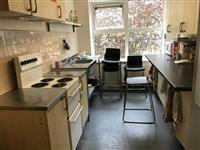 The kitchens are large and provide space to prepare meals as well as for socialising (photograph 1).